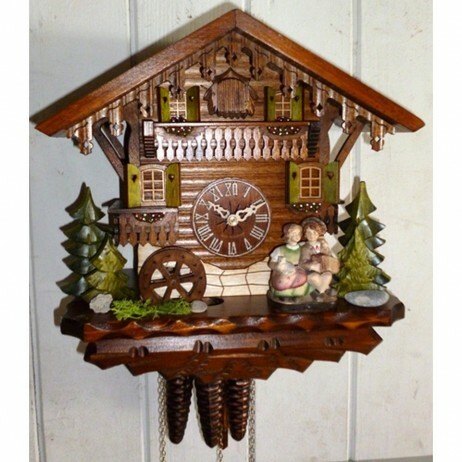 This is a charming piece that features a music box with animated kissing couple. 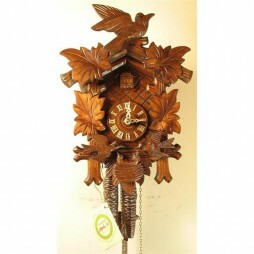 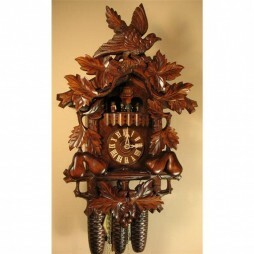 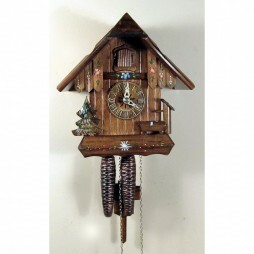 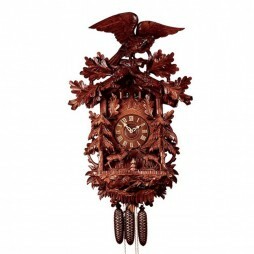 This is an affordable clock with all the charm of a Black Forest cottage. While the cuckoo calls, the little German boy sneaks a kiss underneath the window out of sight.